In 2009, when asked about specifics pertaining to the Patient Protection and Affordable Care Act, otherwise known as Obamacare, then-Speaker of the House Nancy Pelosi famously stated that the bill would need to be passed in order to find out what was in it. Well, the states took this same approach when they accepted “Race To The Top” money under the stimulus plan: they agreed to adopt the Common Core State Standards Initiative (CCSSI)–which sets K-12 education standards in math and English language arts (ELA)–without knowing what the final standards were, or what the ultimate financial implications would be for the taxpayers of Ohio. Despite what its proponents claim, the formulation and propagation of Common Core standards was not a state-led initiative, but rather was the creation of external special interests in Washington, and was funded in large part by The Bill and Melinda Gates Foundation. The groups involved in pushing the mandates, such as the National Governors Association and the Council of Chief State Schools Officers, have no constitutional authority over what policies are enacted here in Ohio, but were enlisted to provide political cover for those advocating the Common Core, who realized that presenting something as an idea from Washington would attract justifiable suspicion. It is important to note that none of the lead writers who helped craft the new English Language standards had any experience teaching English in K-12 or college. The only mathematician on the validation committee for the math standards resigned, declaring that these standards represented a “dumbing down” of math and were a disservice to students and parents. In fact, five of the 29 members of the validation committee refused to approve the standard. Nevertheless, in a three month period in the spring of 2010, 45 states–including Ohio–signed on to Common Core, taking the RTTT money in a process driven by the U.S. Department of Education. Merely to compete for the funds, let alone obtain them, the states had to agree to adopt a set of standards common to several states. The only option at the time was Common Core. The final draft of the standards was not available until June 2, 2010, well after most states had decided to opt in. Many states have subsequently realized the high costs associated with Common Core and its implementation and testing requirements. In late July, Georgia and Oklahoma decided not to adopt the standards because the per-student costs of administering the achievement tests would double. Indiana, Michigan, and Florida have also recently voiced concern, with Indiana suspending implementation and Michigan cutting the funding necessary to enact Common Core. 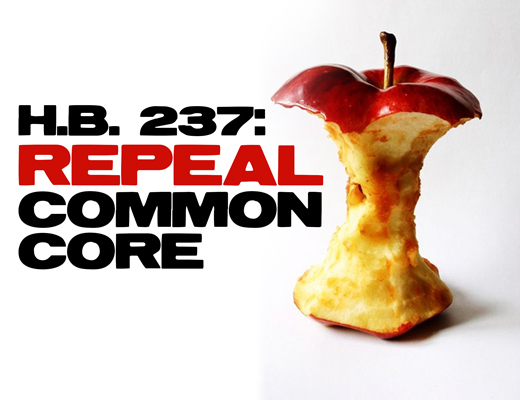 Altogether, there are 12 states that have legislation pending that would either halt the implementation of Common Core or repeal it entirely. Proponents of the Common Core say that the states and school boards still will have the flexibility in determining curriculum. This, however, is questionable at best. Standards drive curriculum, and the assessment tests will measure how well the standards have been absorbed. That leaves little to no latitude for developing curriculum that is not Common Core compliant. In addition, Common Core is a copyrighted product that cannot be altered. Schools are permitted to add (but not subtract) up to 15% of additional materials, but this excess will not appear on the new Common Core-aligned standardized tests. By essentially nationalizing standards, the ability for parents, teachers, and local school boards to control academic content and testing is ceded to groups based in a far away capital. It’s interesting to note that the loudest voices against President Bush’s No Child Left Behind (NCLB) Act, which passed in 2003, said at the time that teachers shouldn’t be forced to teach to the test. Many of those same people now say that states need to adopt these standards (and their corresponding tests) in order to compete in the global arena. Common Core is NCLB on steroids. Instead of making our children “college-ready” and raising education standards throughout the nation, Common Core enshrines mediocrity and views our children as robots to be programed for the nation’s economic welfare, not as human beings to be educated. It is important that our state produce kids who will apply their best individual talents and gifts to whatever field they choose. As a small business owner, I am looking for people who can think on their own and can work hard every day. It is these types of virtues that need to be inculcated in the next generation. What we should seek in education is the development of the intellect, not vocationalism. In the Ohio House of Representatives, I recently introduced House Bill 237, which would effectively repeal Common Core standards in the State of Ohio, prohibit the state board of education from using any assessments based on Common Core standards, and stop any mining of data that is not strictly tied to basic administrative needs. We need to ask serious questions about Common Core and understand its implications; the general lack of knowledge about Common Core in the public at large seems to indicate a desire on the part of its advocates to limit public input in the process. There are many legitimate concerns on how CC might detrimentally impact our children and our workforce development. Since Ohio is a local control state, local school districts should have the freedom to adopt educational curricula that best suit their students. Imposing a one-size-fits-all, top-down approach that centralizes authority is not in the best interest of our young people or our state. We need instead to base our educational approach on the unique and varying talents and skills of our children. We need high standards and to hold our education system accountable to those high standards. My research indicates that Common Core falls short in this area in both the Math and ELA Standards. Ohio’s education system has, in the past, failed Ohio by dumbing down the level of scores needed for a passing grade on final exams. Current standards for the 8th grade test require that merely 33% of the questions be answered correctly to pass. That’s criminal. We can and must do better. What is the alternative to Common Core? The new standards are untested. However, Massachusetts (which also succumbed to the lure of federal monies) had an impressive educational record for 13 years straight when it determined in 1993 to return to a more classical approach to education. Had the creators of Common Core truly been inclined to adopt a “good” model, Massachusetts’ proven track record could have been one such choice. In Ohio, we must do our own research to arrive at standards that time and testing have shown to be successful. We cannot content ourselves to use our children as guinea pigs for the latest educational reform fad. Common Core’s problems are serious and significant. Its creators are perpetuating a sham on the citizens of Ohio and 40 more states nationwide. House Bill 237 is intended to be the wake up call Ohio needs. I hope the readers of OCR will pick up the phone and join the fray as so many others have. Representative Andy Thompson (R-Marietta) is currently serving his second term in the Ohio House. 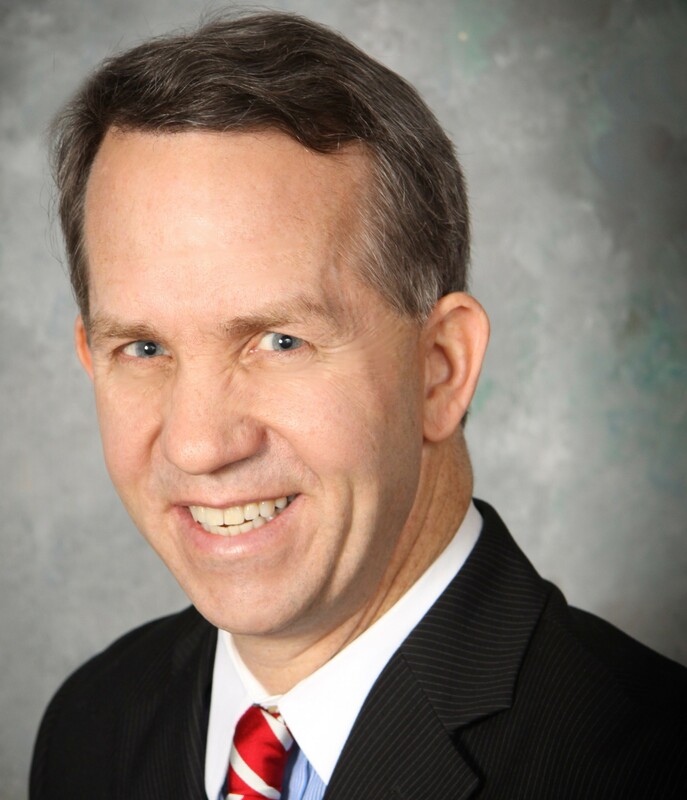 He represents the 95th House district, which encompasses much of Southeast Ohio. He is a small family business owner and lives in Marietta with his wife, Jade, who is a teacher, and his three children.